Right hand turning lanes or sometimes called slip lanes are an essential skill for a road test. As you can see in the image here, sometimes you gotta watch for bicycle lanes. You got to know that most of the time, these slip lanes have a yield sign. So you have to give the right of way to other traffic onto the roadway on which you're turning. I'll show you some footage today of how it's done incorrectly and then we'll explain the procedure of how to do it correctly. Because on your road test you never want your examiner to go [SUCKING IN THEIR BREATH] because once your examiner does that, it's really tough to recover from that. You never really get that trust back. We're talking to you today about right-hand turns at slip lanes or turning lanes. I went down to the intersection and spent about 10 or 15 minutes taking some footage. We're going to go to that footage now and show you how to properly do a right hand turn at a turning lane. Here you can see the cars pulling up to the slip lane and they have to cross the bicycle lane, so it's important that you signal, mirror, and shoulder check as you're coming up to ensure there aren't any bicycles in the bicycle lane. As well, there's a crosswalk in the slip lane and cars either have to stop before or after. If there's room you can stop after the crosswalk to ensure that pedestrians aren't blocked if you're sitting there waiting. And it's a yield so if the way is clear you don't have to stop. When you come around the corner you stay in the right hand lane when you're making a right turn. Do not deviate into the left-hand turn, especially during a road test. You can see the two vehicles here, both of them are making the right hand turn correctly and moving into the right-hand lane. On most turns you can see that vehicles deviate into the left hand lane when they're making a right hand turn. Many of them don't even signal and this is both dangerous and will cause you to fail a road test because it's a dangerous action. And you can see the pickup truck weave into the other lane and the white vehicle didn't even signal when it moved over to the left hand lane. And the red car as well - right into the left hand lane. About fifty percent of these vehicles - two out of the four cars here - both move into the left hand lane without even signaling. The pickup truck actually does the manoeuvre correctly: it moves into the right-hand lane ,signals to the left, and then moves over into the left hand lane. As well this car too does the same thing - turns into the right-hand lane, signals to the left, and then moves to left lane, which is the correct procedure for moving from one lane to the other immediately after turning right. In conclusion, turning right on slip lanes. 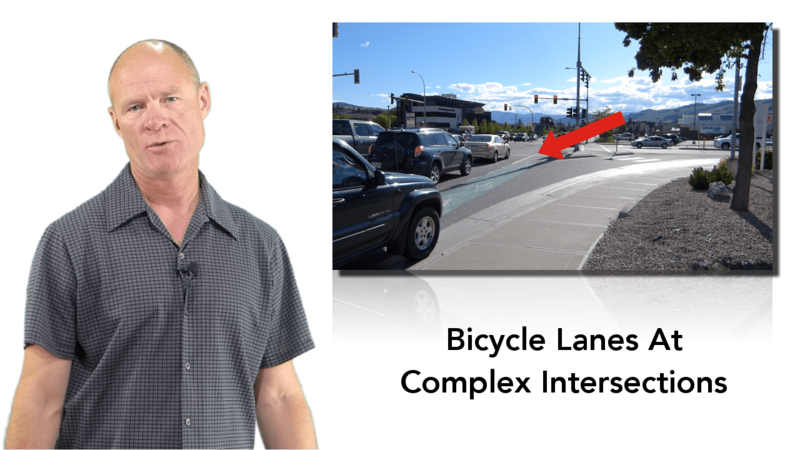 As you're coming up: if there's a bicycle lane - signal, mirror, shoulder check. Shoulder check as you're approaching and shoulder check again immediately before making the turn. 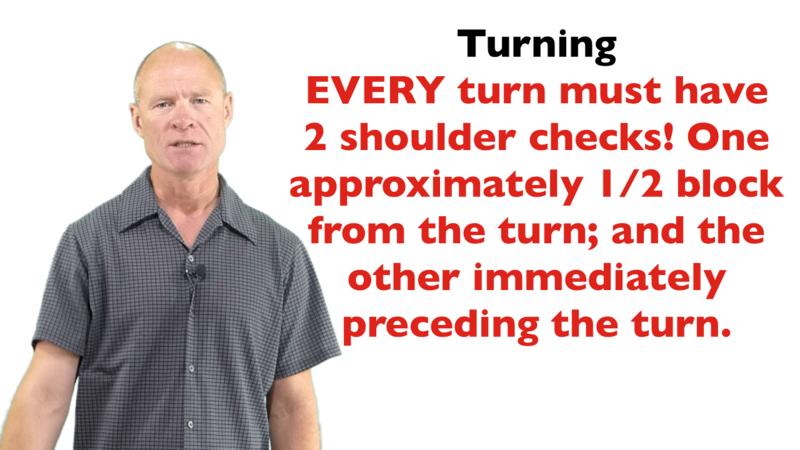 So every turn left or right has two shoulder checks: one as your coming up and one immediately before the turn. If there's a crosswalk, stop before the crosswalk or after the crosswalk. If you're driving a car or light truck you can stop after the crosswalk; if you are driving a larger vehicle - a bus or a semi truck - you need to stop before the crosswalk to look to see when it's safe to turn or to merge into oncoming traffic. You also have to look for pedestrian traffic. If the way is clear, you don't have to stop because it's a yield sign. And then finally, if there is traffic turning from the left, but the right hand lane is clear, do not turn in beside another vehicle. But rather turn in behind that vehicle because as you saw in the footage most of the vehicles - somewhere between 50 and 75 percent - of the vehicles that turn left will automatically drift over into that right hand lane. So it's a defensive move that you move in & straddle between the other vehicles that are turning left. Do not turn in beside another one, especially on a road test. Because if you do it on a road test, the poor ole' examiner just goes [SHARP INTAKE OF BREATH] and you never really get that trust back. Then they're really giving you the really detailed look on your ability to drive. So it's a good defensive move never pull in beside another vehicle when you're turning right when the other vehicles turning left. Always pull in behind them. If you like what you saw here get your road test checklist. 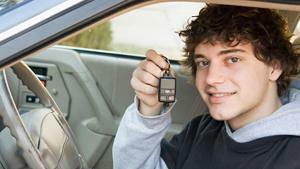 Things that you need to do to be prepared to take your road test. Skills that you need to practice: slow speed manoeuvres, stopping at the correct position at stop signs, making sure that your shoulder check. Things that you need to do on road test day when you go into the examination office. 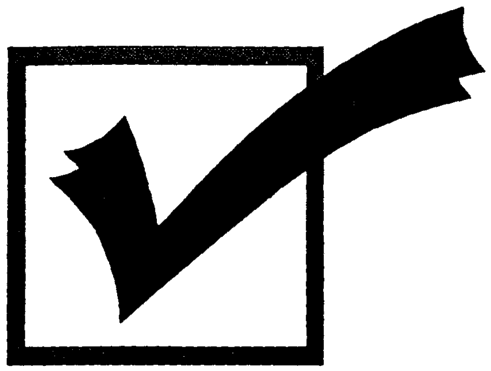 Things you should do the night before and practicing and ensuring that you do a pre-trip inspection prior to taking the vehicle to the examination office. Because they're going to do a pre-trip inspection before you go out for your road test, and if it doesn't pass the pre-trip inspection you won't be allowed to go up your road test. So make sure that your vehicle is up to par in terms of the pre-trip inspection that you need to do prior to the license test.